This is a 22 foot diameter Mongolian Yurt, built as housing for volunteers and interns at the Adirondack Wildlife Refuge. Yurts are portable. While it took us a couple of days to construct a solid level platform, this all-weather, insulated yurt went up in a few hours. 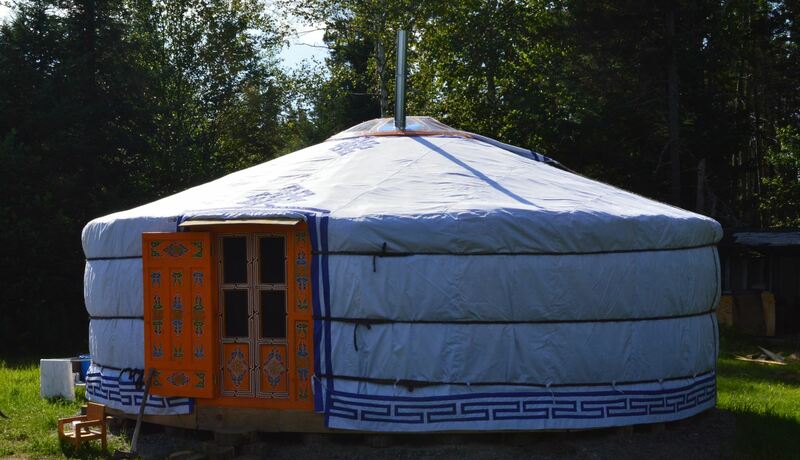 Yurts may also be built on temporary, movable platforms, such as straw bales. 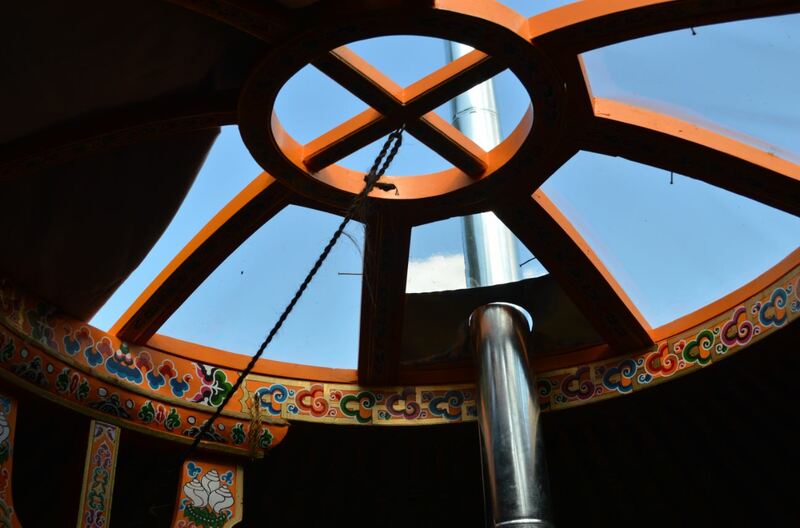 "Groovy and Authentic Mongolian Yurts (or Gers) have been developed over centuries, using mostly organic materials, to cope with the most extreme climates, hot or cold, winds or snow: they are probably the most efficient dwellings ever devised!" (from the Groovy website). The insulation is made from sheeps wool, while ropes are made from horse hair. 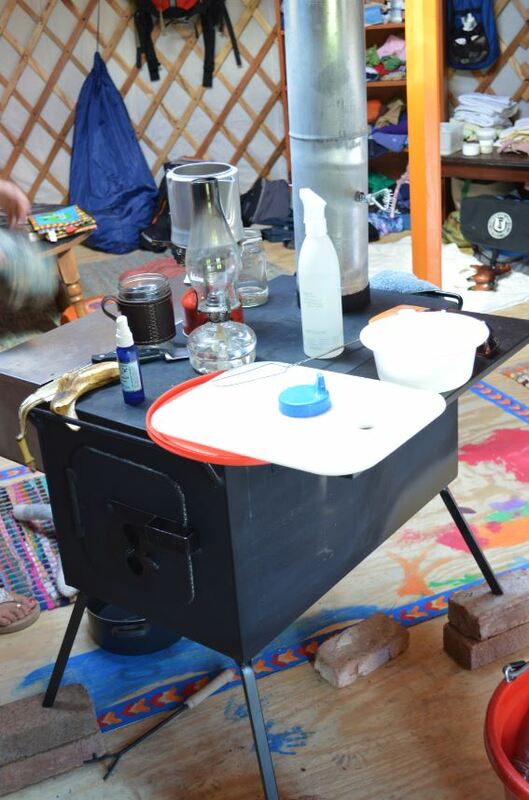 The matrix wall supports are made from flexible but strong split aspen, while the outer canvas covering is a breathable cotton, keeping the interior of the yurt warm and pleasant, but never musty. Talk about a "green" home! 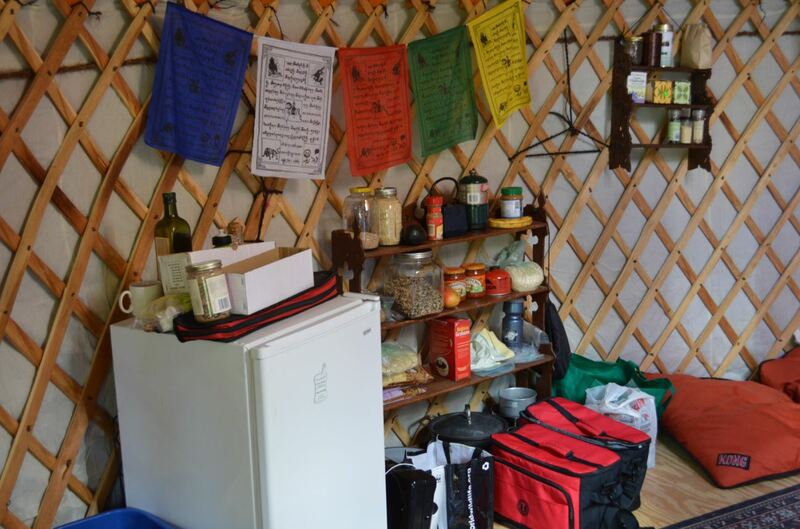 Extra windows and doors, hot and cold water, electricity (solar or underground electric feeds from adjacent buildings) and composting toilets (or standard toilets with septics) are among the common options for a yurt. They may be heated by wood stoves (which can double as cooking surfaces), heat monitors, or a combination of the two, if you don't feel like loading the wood stove in the middle of the night. 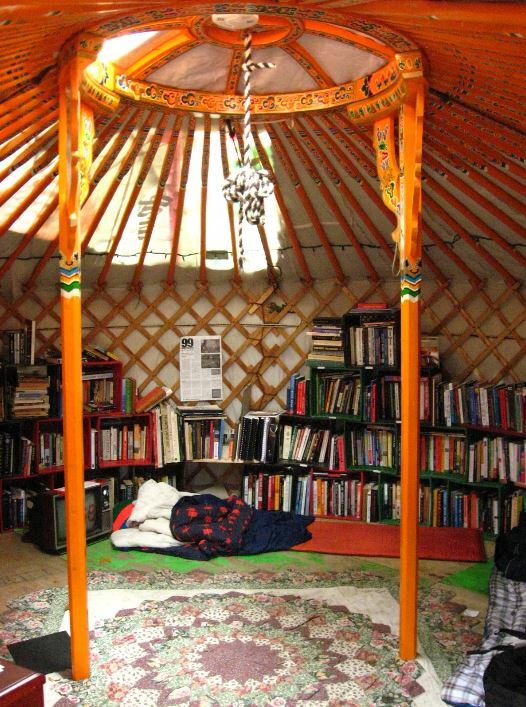 Large yurts may be compartmentalized into individual rooms or spaces. Yurts may be used as temporary structures for weddings, parties, meetings, or even as vacation rentals for folks who want the outdoor experience, but don't want to bring a tent or stay in a lean-to. Yurts are the perfect solution for young couples and folks coming out of college, as an affordable and movable alternative to living with Mom and Dad. 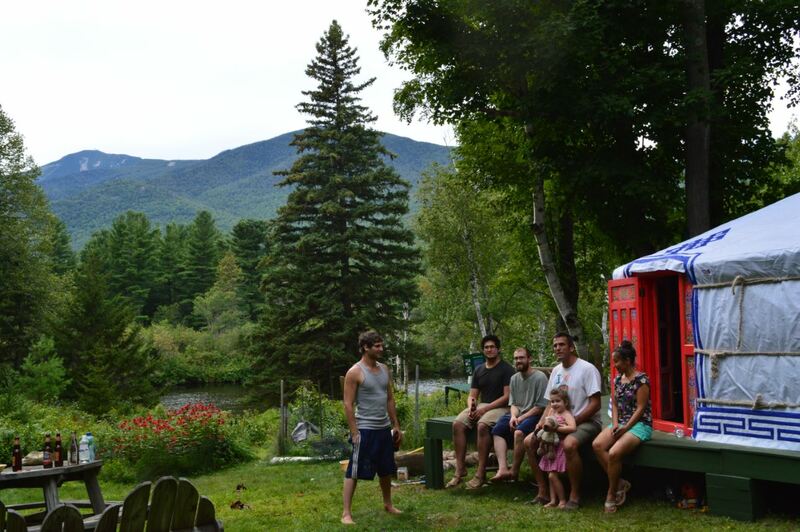 In an economy offering low paying jobs for graduates saddled with student loans, yurts may even be placed on family properties, as building codes are greatly relaxed for yurts, and insurance companies look on them as auxillary buildings which may be fully insured. 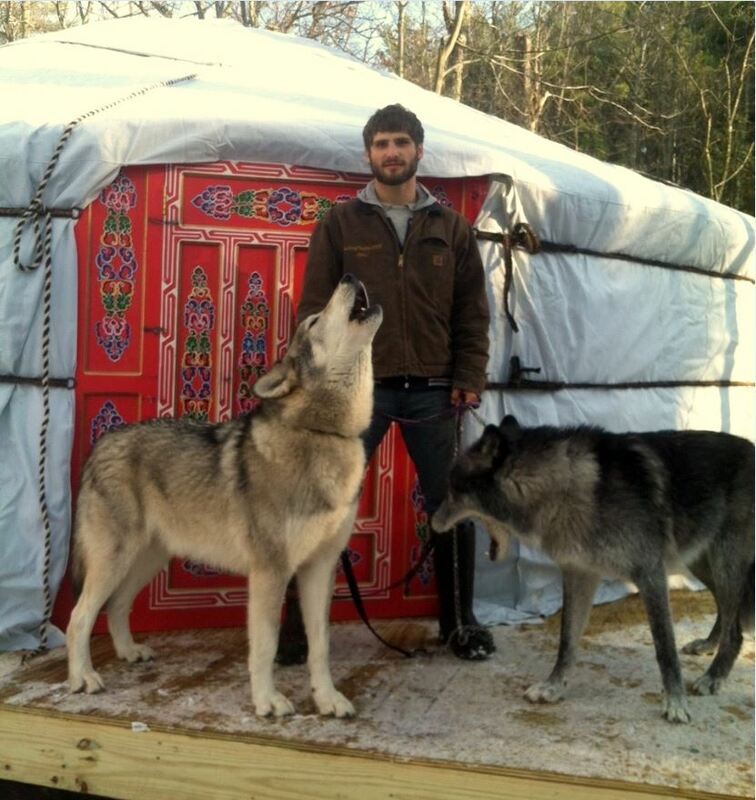 Yurts could be the new paradigm for starter homes, as the economy slowly recovers. 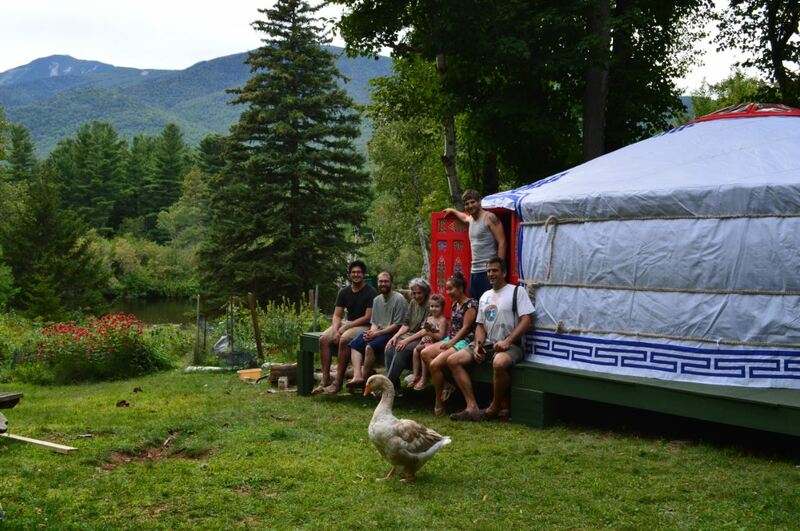 Live in your fully equipped yurt, while you build your dream house, then use the yurt as the guest house.